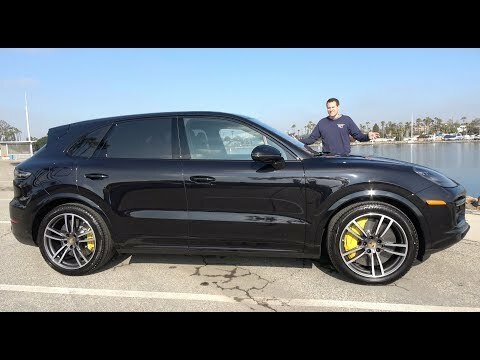 The new 2019 Porsche Cayenne Turbo is very fast. Sure the Cayenne, especially in turbocharged form, has for years bent the laws of physics. From a performance stand point the large family hauler can hang with many pure sports cars. The latest Cayenne Turbo takes the already high performance to the next level. It will let you drop the kids off at soccer practice faster than you think is humanly possible. Ellen DeGeneres is a big fan of Porsche (both the brand and a certain model). You may not know this, but she drives a Porsche Cayenne Turbo. It is fitting then that she was able to take full advantage of the new Porsche Experience Center in Los Angeles. Should The Porsche Cayenne Seat Seven? Yesterday, we run a controversial article about if Porsche should have built any 4-door vehicles. Let me state for the record, that after you drive a Porsche Cayenne, Macan or Panamera, you will go away with the same feeling you get when you drive one of the brand’s traditional sports cars. It is amazing how a large car like a Panamera feels like it shrinks around you when you hustle it around the track. When driving it you feel like you are driving a 911, if you don’t look back (and don’t notice that the engine sound is ahead of you instead of behind you). Currently, I have a Dodge Challenger as my family car and it works well for four people (especially if your children are old enough to buckle themselves, but not yet teenagers). However, as your family grows additional space in a vehicle to haul the crew becomes needed. I prefer higher end performance cars and Porsche is one of my favorite brands, so the Porsche Cayenne is on the short list for a family cruiser. Should Porsche Have Built A Four Door Vehicle? Many Porsche enthusiasts were very disappointed when the news was first announced that the German performance car maker would be building a SUV. After all the crest was meant for a sports car and that does not describe any vehicle with four doors, especially an SUV. To make matters worse for these purists it didn’t stop at the Cayenne. No, the Panamera was next and most recently the Macan. All three offer great levels of performance and incredible engineering, but are they true Porsches?